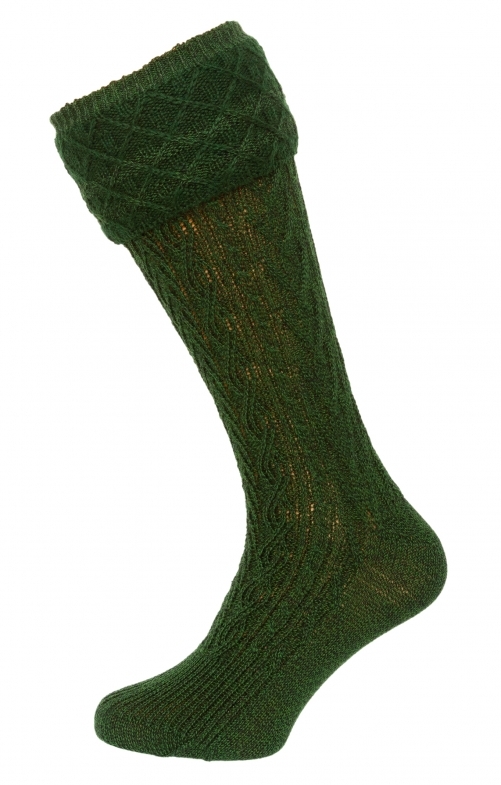 Traditional men's German knee socks in green. Capture an authentic Bavarian look with these high-quality Trachten knee socks from Stockerpoint; in a soft and durable wool and synthetic blend, they feature an intricate cable knit stitch and are the perfect complement to leather shorts. Keep your feet warm and comfortable, whether at Oktoberfest or on an Alpine hike.